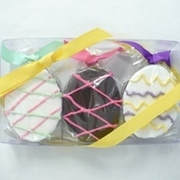 Decorated Brownie Gifts for Any Occasion: Simply Divine Silhouette Brownies. Decorated Brownies...shapes to celebrate life's special occasions! All Simply Divine Shapes are cut from our heavenly brownie base, dipped in fine chocolate, and hand decorated for your celebration. Many of our silhouettes are available every day of the year, while some are only available at certain times. If you are ordering a minimum of two dozen of one shape, we will bake it any time you wish. 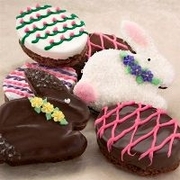 To place a special, out-of-season order, please call our toll-free number (1.866.3BROWNI). 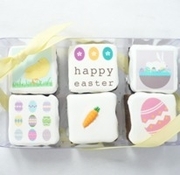 All Silhouette Brownies are available individually, in a half dozen, and a dozen.